TAMPA, FLA. — USF added yet another notch to a record-breaking 2016 season Tuesday as the Bulls landed in the final Associated Press Top 25 rankings for the first time in program history. The Bulls, who spent the last two weeks of the season in the Top 25, climbed six spots to No. 19 in the final AP poll, marking USF’s 16th time to land in the top 20 and first since reaching No. 16 in the AP poll in week six of the 2011 season. USF posted a 46-39 victory over South Carolina in the Birmingham Bowl on Dec. 29 to finish with a program-record 11 wins and the program’s fifth bowl victory. The Bulls’ 11-2 record was the best among FBS football programs in the state of Florida and the fifth-best winning percentage nationally in FBS football. 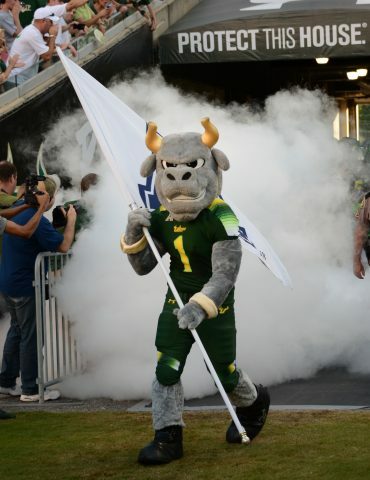 USF was one of four Florida teams to finish in the final AP Top 25, joining No. 8 Florida State, No. 14 Florida and No. 20 Miami. Clemson, which defeated Alabama, 35-31, in Monday’s College Football Playoff National Championship game in Tampa, finished No. 1 with Alabama No. 2 in the final poll. yards (3,714), touchdowns (77) and scoring (569). 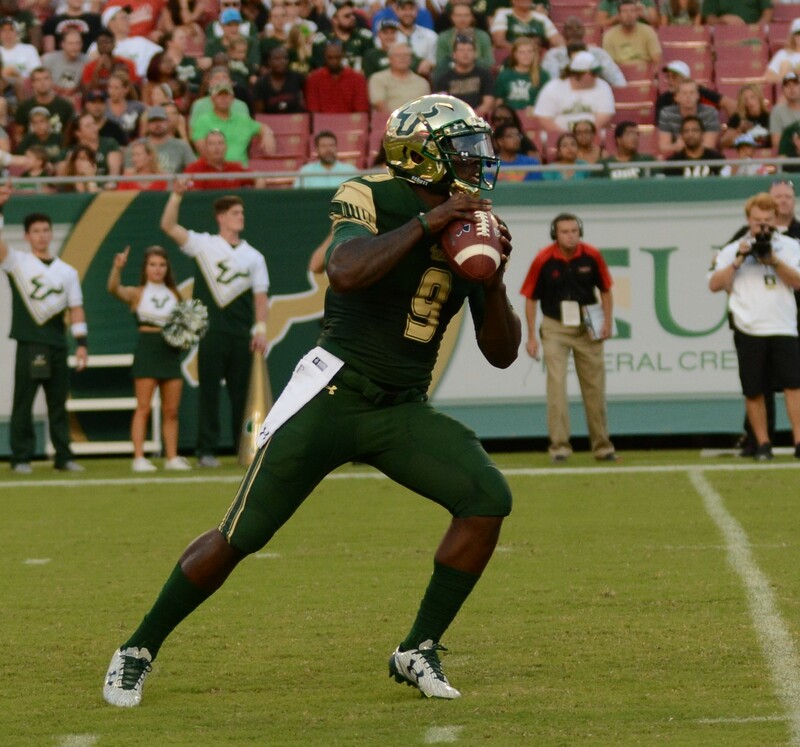 Junior quarterback Quinton Flowers was named the American Conference Offensive Player of the Year and led a school-record 10 players named to the all-conference team, six of which, including Flowers, will return in 2017. Season ticket deposits for the 2017 season start at $50 per seat and can be placed at USFBullsTix.com. The Bulls will play seven home games in Raymond James Stadium in 2017, hosting notable games vs. Illinois, Houston, Temple, Tulsa and Cincinnati. USF, which finished the 2016 season ranked No. 19 in the final AP Top 25 poll, returns 15 starters from 2016 and 19 players with at least eight career starts for the 2017 season under first-year head coach Charlie Strong. Led by quarterback Quinton Flowers, named among the AP’s top five Heisman hopefuls for 2017, the Bulls return 34 members of the final 2016 offensive and defensive two-deeps and both their kicker and punter. USF kicks off the 2017 season at San Jose State on Aug. 26. The Bulls will have seven home games in 2017 with non-conference match-ups vs. Stony Brook (Sept. 2), Illinois (Sept. 16) and UMass (Oct. 14) and conference foes Temple, Houston, Tulsa and Cincinnati visiting Raymond James Stadium.